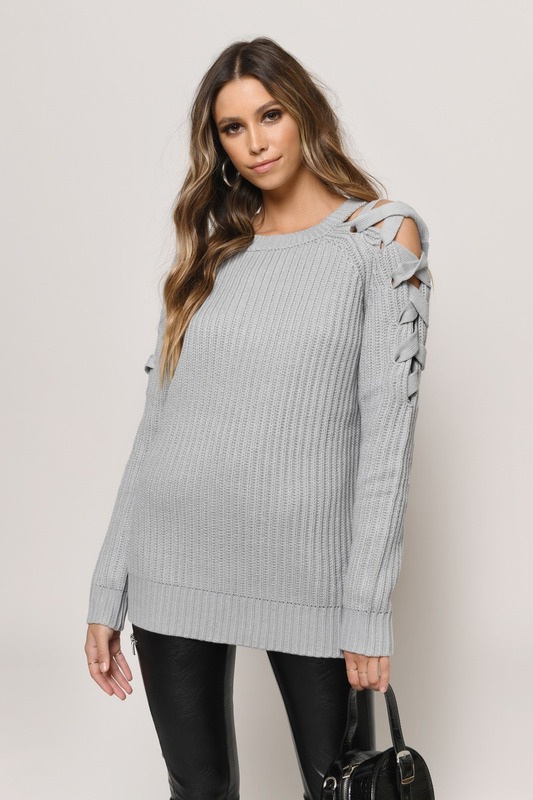 Check out Tobi's Vana Lace Up Shoulder Sweater What's a cold shoulder without a lace up detail to really show it off? 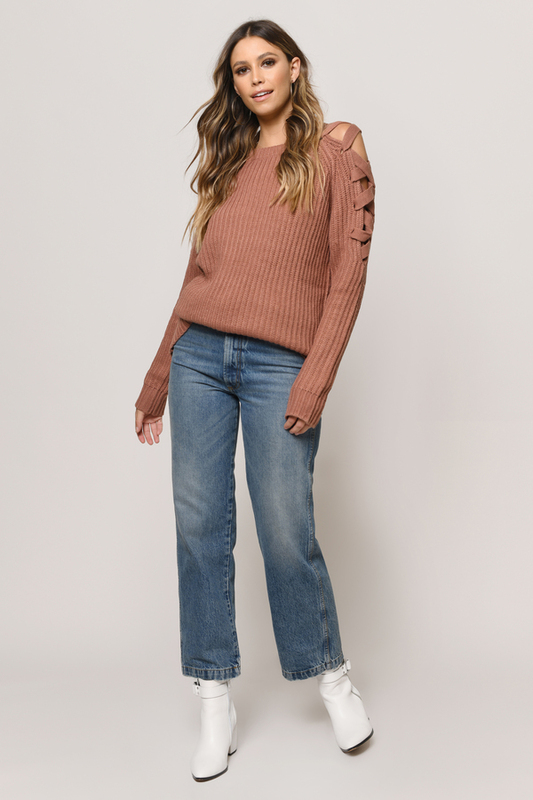 Add the Terracotta Vana Lace Up Shoulder Sweater to your fall fail safes for a long sweater option with a difference. 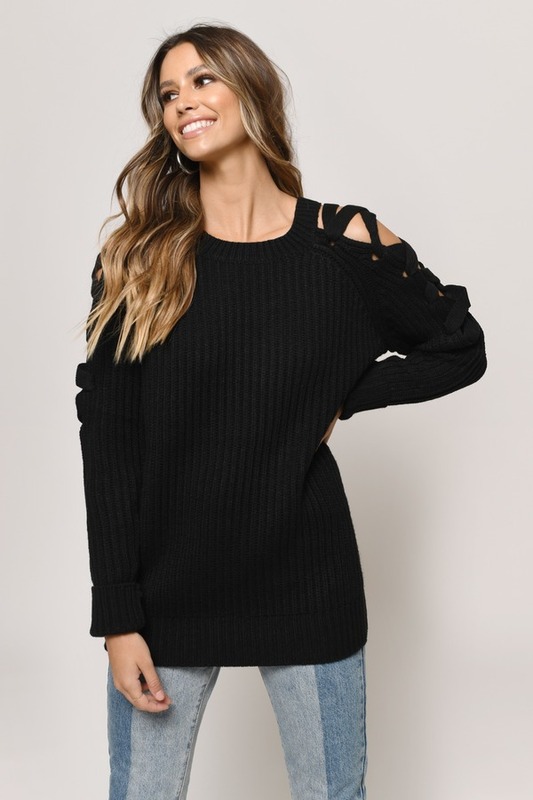 With cold shoulder cutouts, this crew neck sweater comes in a chunky knit for a cozy/chic mix to pair with your favorite skinnies on weekend walks.